NVIDIA Home > Support Home Page > Knowledgebase Home Page > How do I determine which NVIDIA display driver version is currently installed on my PC? How do I determine which NVIDIA display driver version is currently installed on my Microsoft Windows PC? 1) Begin by right-clicking with your mouse over the Windows desktop. This will bring up a small context menu. 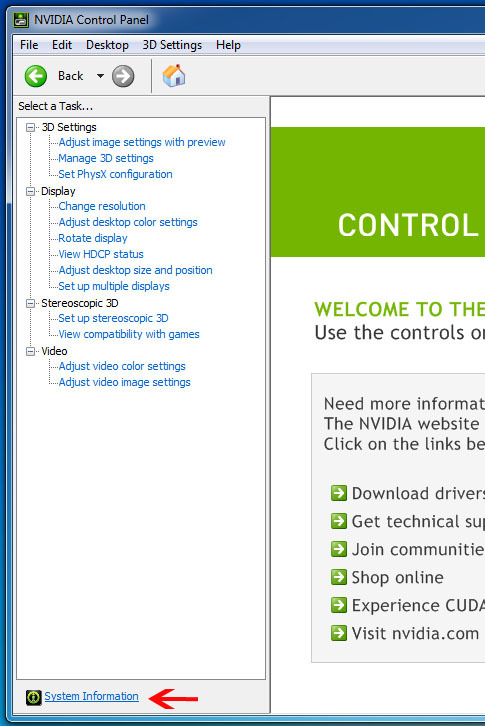 Select "NVIDIA Control Panel" to launch the control panel for the NVIDIA display drivers. 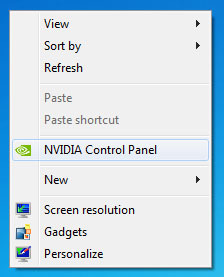 2) Once the NVIDIA Control Panel window launches, left-click over the "System Information" link on the bottom left hand corner to bring up the graphics card information. 3) A system information window will appear revealing your graphics card information. Search for the "Driver Version" field followed by a number beside it. This number represents your display driver version. 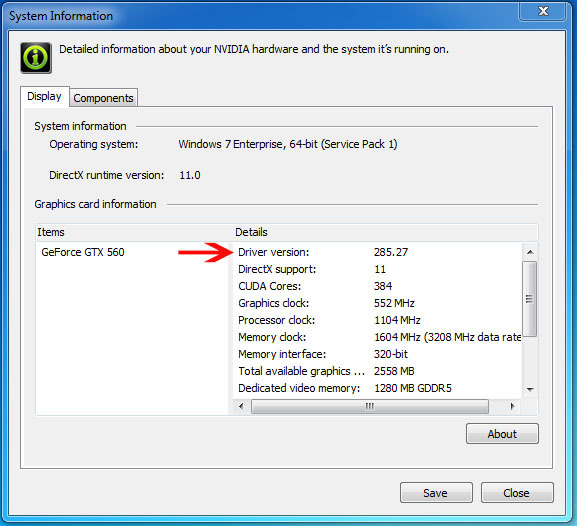 In the example below, the NVIDIA display driver version is 285.27.